One of Cornwall’s gems is the beautiful Falmouth. Whether you are looking for pristine beaches, impressive museums, gourmet cooking or ancient castles, you will find them all in this bustling seaside town. 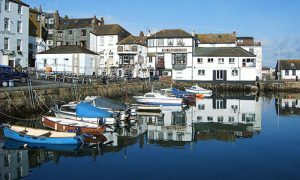 Falmouth has many attractions to offer such as the beaches of Gyllyngvase, Castles at Swanpool and Maenporth, or history and heritage inside the Cornwall Maritime Museum, bringing to life Falmouth’s notorious past when it was a hideout for pirates and smugglers. The imposing Pendennis Castle, built by Henry VIII and besieged by Parliamentarians during the Civil War, makes for an interesting trip. Falmouth is a small town making it ideal for exploring by foot. 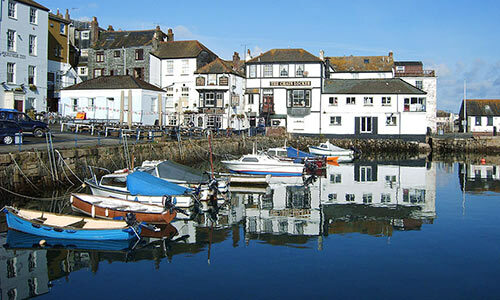 The qualified Blue Badge Guides will take you along the town’s waterfront and through its narrow streets while relaying Falmouth’s maritime past. Or you can explore yourself and visit the craft shops and seafood sellers or go inside the Art Gallery with its local and national works. If walking the streets is not your thing, then amble along the promenade at the beach or visit the award winning gardens of Fox Rosehill and Queen Mary. You will find quality seafood restaurants and pubs where the food is as good as the beer, particularly during the annual Oyster Festival. For shopping bargains, the antique fairs at Gyllyngdune Gardens and the nautical vendors in the town center make ideal stops. For more active pursuits, try the Ships and Castle Leisure Pool or charter a yacht in the harbor. Cornwall’s many attractions are within easy reach of Falmouth. Pleasure boats ply the waters to the Smuggler’s Cottage at Tolverne or you can drive to Lizard Point, Britain’s most southerly point. To get to Falmouth by road, take the A30 or A38 from Exeter or take a National Express Coach from London Victoria which runs six times a day. Trains depart on hourly basis from London Paddington station and British Airways runs four daily flights to Newquay (a short drive or train journey from Falmouth) from London Gatwick.